Daleys Fruit Tree has Plants for Sale to Tooloom and can Mail Order them to you door. Click to Find out how much Freight Will Cost. AA small shrub with soft grey-green and white variegated foliage with small white flowers, which are attractive to butterflies and native bees. Attractive as a specimen or flowering container plant. 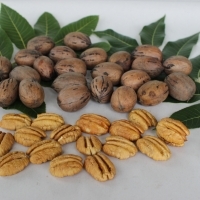 Ideal for formal hedging and for mid level screening. 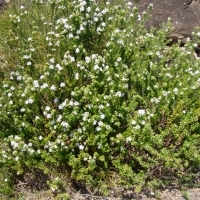 Grows in a wide range of soils, and is well suited to coastal positions, as it is very salt tolerant.